One of the beautiful paintings done by Randy Julius. 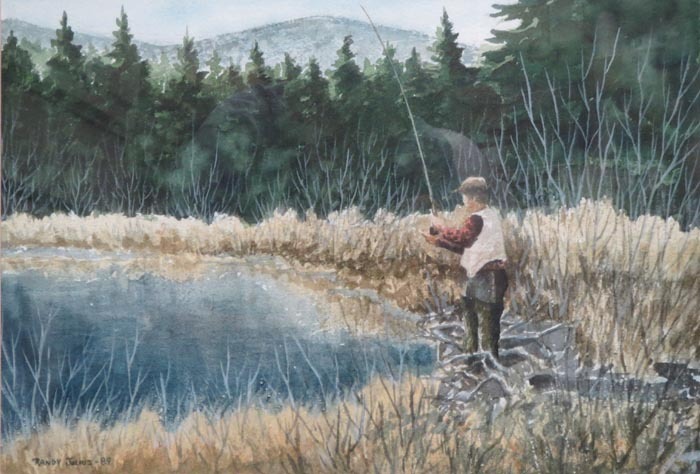 From Bridgewater, MA, This local piece should be in every fisherman's collection. Done in 1989, this piece measures 15 1/2" x 19 1/2".